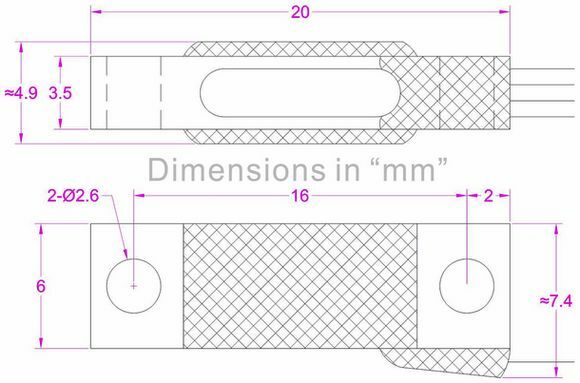 Subminiature load cell FMZJ delivers 1.0mV/V output from the full wheatstone bridge with maximum 0.05% non-linearity.Micro load sensor FMZJ was customized for a local weighing solution provider who came to Forsentek looking for a weighing sensor for their weighing scale project which requires the load cell to be very compact in size while remains high accuracy at the same time,after discussion with our engineering team,transducer FMZJ was proposed and then accepted by the client. 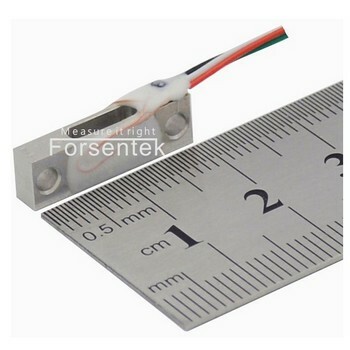 Small weight sensor weighs about 1 gram including 110mm cable with only 20mm length,it is a perfect mixture of miniature size,light weight,low power consumption,high accuracy and inexpensive price,you may also find model FMZJ applicable for portable weighing instruments with battery power supply,auto filling machines,etc.. 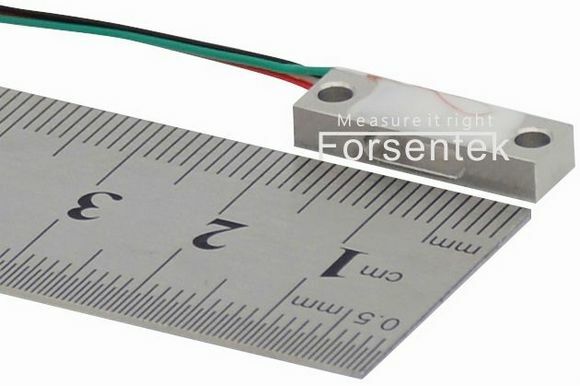 If you cannot find a suitable load cell sensor for your weighing project,please contact us at sales@forsentek.com to find out how Forsentek can benefit your business with a customized weighing sensor.